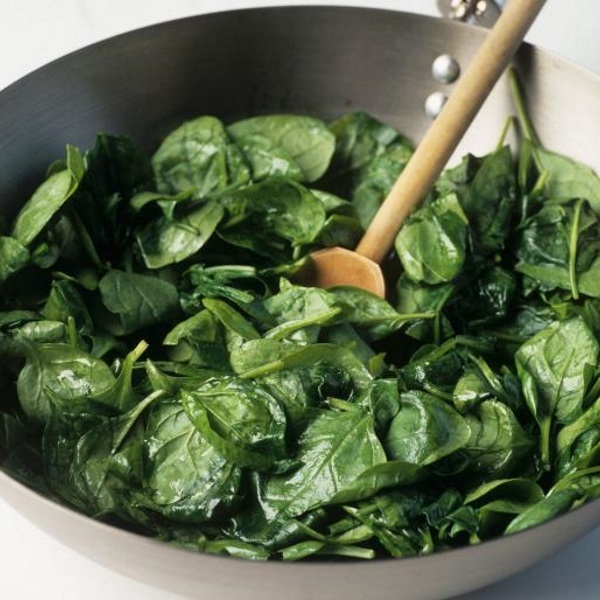 Frying and sautéing vegetables in extra virgin olive oil enhances cancer-fighting compounds. Vegetables in the Mediterranean diet are incredibly for you. But there’s a simple way to make them even better, both taste- and health-wise: Fry them in extra virgin olive oil. Yes: Fry them. Seriously. According to a new study from the University of Granada, frying vegetables in extra virgin olive oil (EVOO) increases dietary phenols—compounds touted to ward off cancer, promote healthy aging, and have antioxidant effects (they capture free radicals before they can cause damage), which can prevent diseases like diabetes and macular degeneration. From a nutritional point of view, cooking degrades a vegetable’s nutrients, since boiling causes vitamins to leach out into the water, and frying has always been viewed as maltreatment. But the new research suggests otherwise. In the study, researchers cooked cubed potato, pumpkin, tomato, and eggplant without the seeds or skin using various cooking methods. The vegetables were fried and sautéed in EVOO, boiled in water, and boiled in a mixture of water and EVOO. Once the vegetables were cooked, the researchers measured their moisture content, fat, dry matter, total number of phenols, and antioxidant capacity using high-performance liquid chromatography, which separates, identifies, and quantifies components in a mixture. Frying vegetables in EVOO increased the vegetables’ fat content, reduced their moisture, and boosted phenol and antioxidant levels, something that’s not observed in other cooking methods. “Oil as a mean of heat transfer increases the amount of phenolic compounds in vegetables, opposite to other cooking methods such as boiling, where heat transfer is done through the water,” study author Cristina Samaniego Sánchez said in a press release. That’s because the phenols—compounds not usually present in raw vegetables—are transferred from the EVOO into the vegetables. This boosts the health benefits, and as you probably guessed, amps the number of calories since the vegetables are absorbing the oil. Lucky for you there’s really no reason to fear dietary fat. Just be mindful of how much oil you’re consuming—in this case, there can be too much of a good thing.